It is hard to believe that we are just 5 days away from Christmas, and we here in New England don't have any of the white stuff on the ground! In fact, we haven't seen it since the October storm that left us without electricity for 4 days. I'm not saying I want a blizzard or anything, but just a little dusting might add to the spirit of the season. I'm starting to feel like all the bloggers I follow that live down south. We went to cut down our Christmas tree wearing fleeces and sneakers! 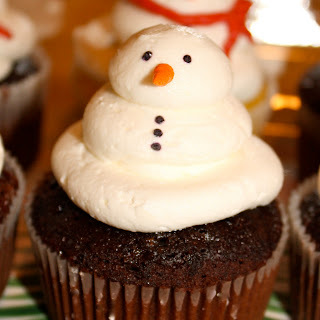 Oh well, if mother nature isn't providing the snow, how about some little buttercream snowmen. I think I love this plain little guy best of all. 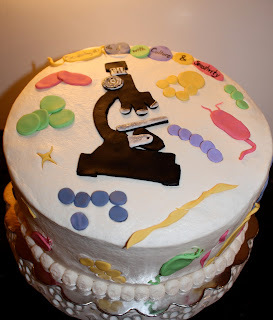 When it comes to the most interesting themed cake I've made thus far, this one takes the cake! It is a microbiology themed cake complete with a microscope, cells, germs, viruses and DNA. One layer is chocolate cake and the other is yellow cake with a hint of almond. They're filled with chocolate buttercream and iced in buttercream with fondant decorations. 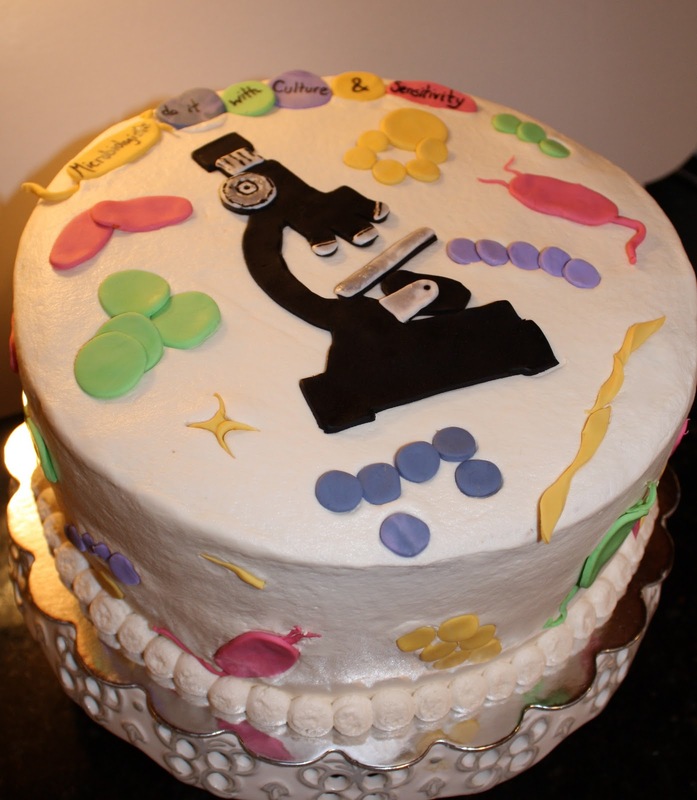 I hope I succeeded in making germs & viruses look appetizing! This cake is for a little girl's 6th birthday. She wanted a rainbow cake (6 layer cake: red, orange, yellow, green, blue and purple) with purple frosting, polka dots and a big pink bow. 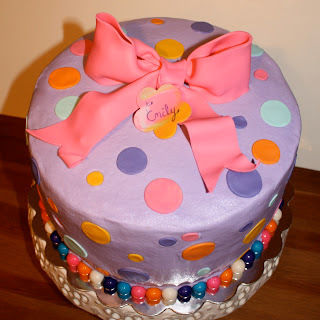 Happy Birthday Emily, hope you like your Purple Polka Dot Cake! 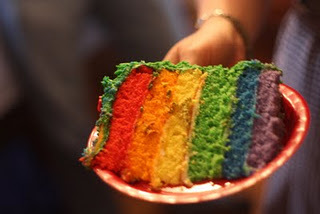 This is what the inside of the cake looks like.